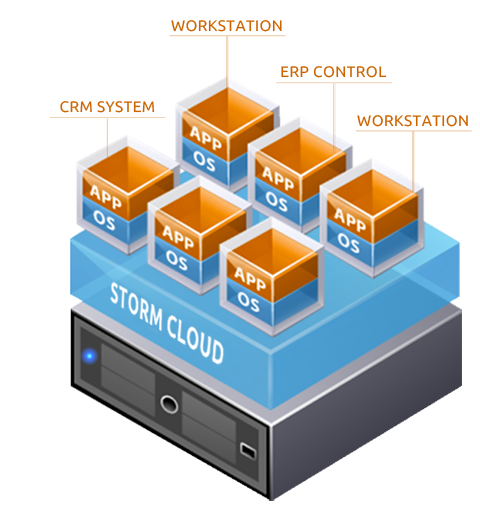 Based in Dallas, TX - Storm Cloud provides a rich set of capabilities to minimize the cost of their IT efforts. Upgrading your business' computer hardware is often a high expense. Storm Cloud allows businesses of all sizes to add employee workstations, virtual servers, and backup solutions at a fraction of the cost. Storm Cloud is a “Cloud Services Provider” or CSP that caters to the requirements of both small and large businesses. Small businesses need a rich set of capabilities to minimize the cost of their IT efforts, while large businesses have complex IT Infrastructure demands. Storm Cloud solves these fundamental business problems by offering tailored cloud solutions coupled with managed services designed for each of these business segments. The next step is to demonstrate the power of Storm Cloud to you, using simple screen sharing software. Once you're ready to move forward, we'll implement your custom tailored Storm Cloud. Get a FREE consultation & PDF brochure instantly by contacting us online. Based in Dallas, TX - Storm Cloud provides a rich set of capabilities to minimize the cost of your IT efforts. With Storm Cloud, businesses of all sizes can add new employee workstations, virtual servers and backup solutions at a fraction of the cost.